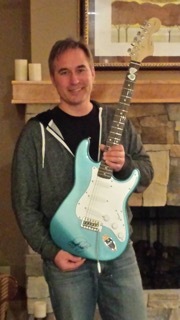 Congratulations to Scott from Schaumburg IL, the recipient of our 7th Annual Guitar Giveaway. Anyone who didn’t win can still have a chance to win each year. Thanks to all the fans for supporting Gary. He looks forward to seeing you all on tour in 2016!